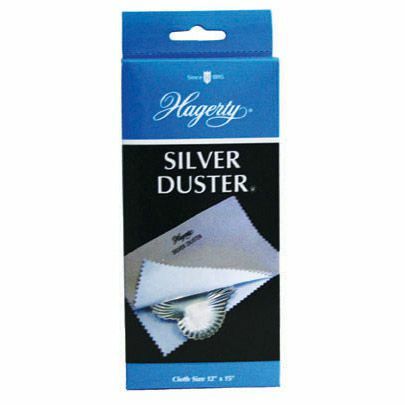 The Hagerty Silver Duster is a two-piece polishing cloth developed to easily remove light tarnish from silver. A convenient method for dusting your display pieces regularly. The Hagerty Silver Duster contains R-22, the world's longest lasting, patented tarnish preventive agent. The inner cloth polishes your silver, maintains the patina, and imparts a tarnish-proof barrier to preserve its brilliant glow for months. 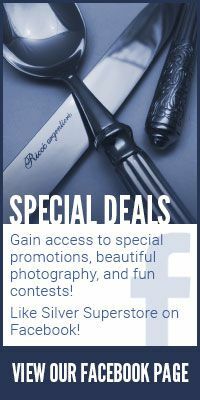 This dusting cloth takes the work out of removing light tarnish from display pieces and last minute touch ups. While the inner cloth maintains the patina and imparts a tarnish-proof barrier on silver to preserve its brilliant glow for months, the outer cloth buffs silver to a brilliant shine.